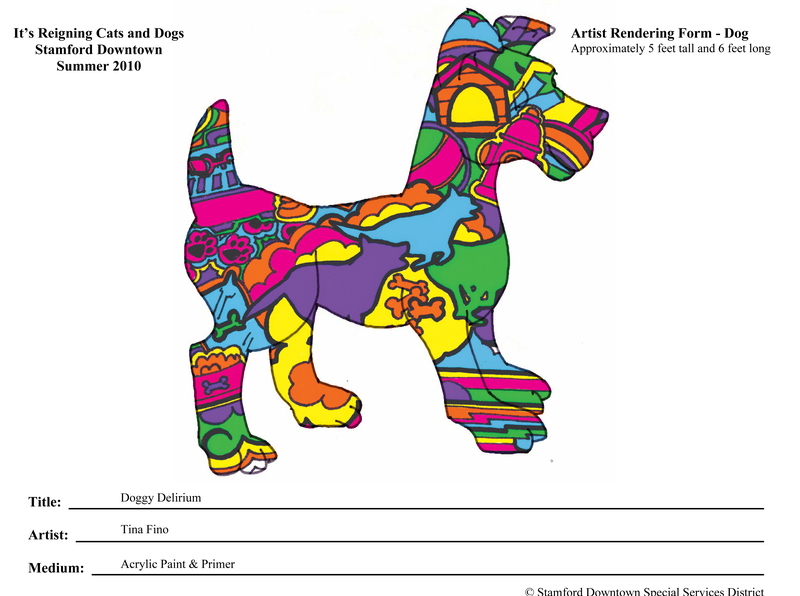 "It’s Reigning Cats and Dogs" is a public art exhibit, displayed temporarily in Downtown Stamford, CT. Artists are invited to submit designs for the dog and cat sculptures, which get selected for sponsor review and selection. The pets arrive as unpainted fiberglass sculptures ready to be transformed by selected artists. At the end of the exhibit, the cats and dogs will be auctioned and the proceeds will go to local pet adoption agencies and animal welfare organizations. 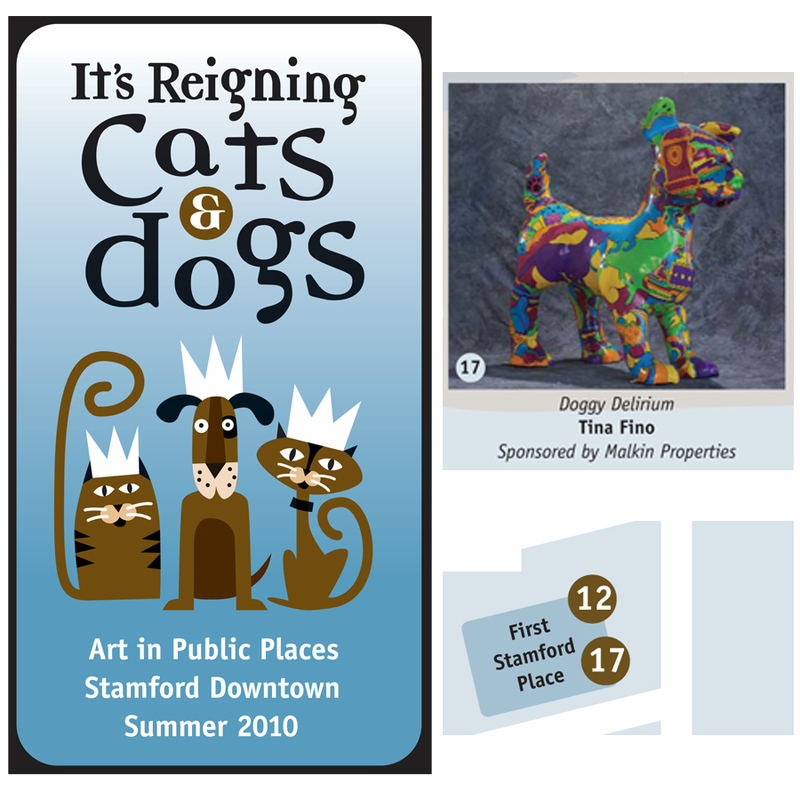 "It's Reigning Cats & Dogs" was a temporary exhibit displayed thoughout downtown Stamford, CT. 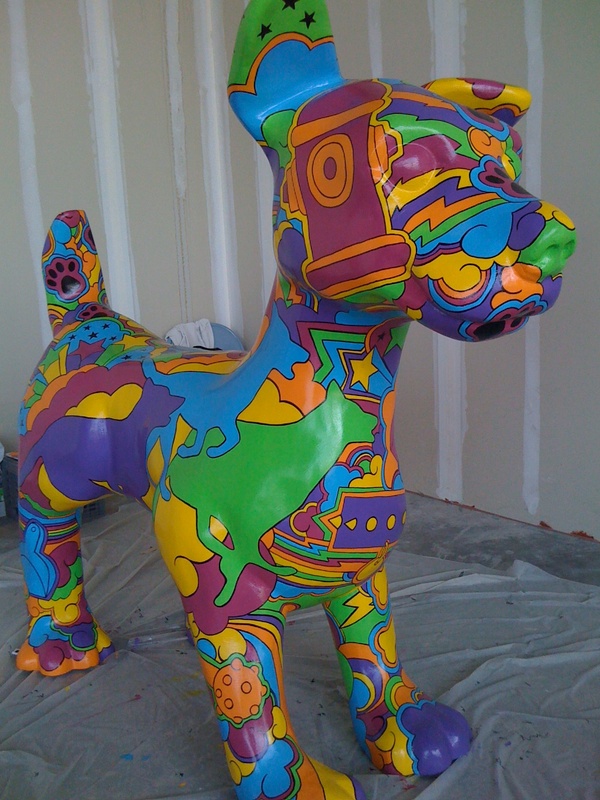 I wanted to create a design that would represent me as an artist and also a stand out among the busy streets of downtown. 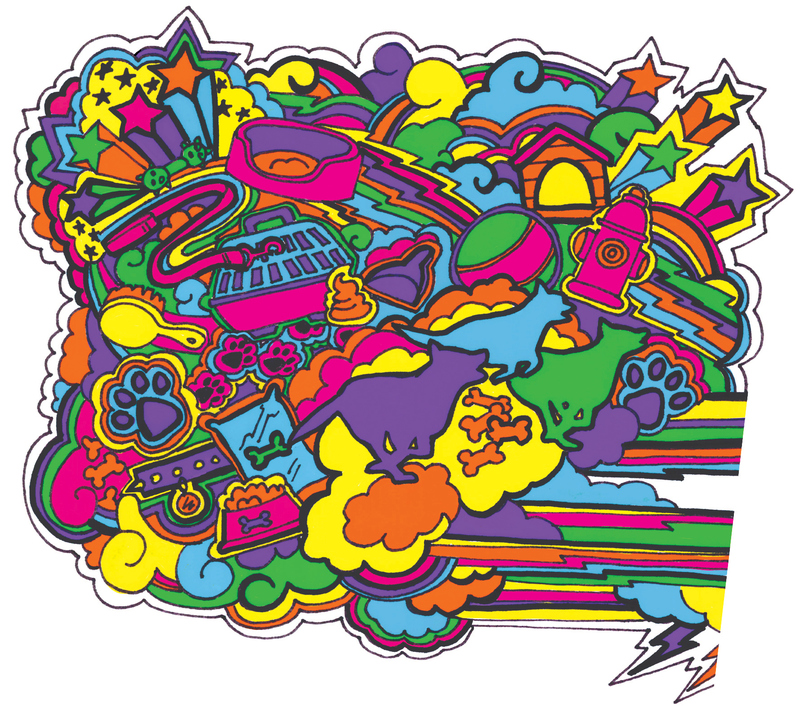 I selected a bright palette, combining dog icons within a groovy mix of stars, clouds and lightening bolts, giving it a fun 70's flavor as well as being cheerful, graphic and bold.